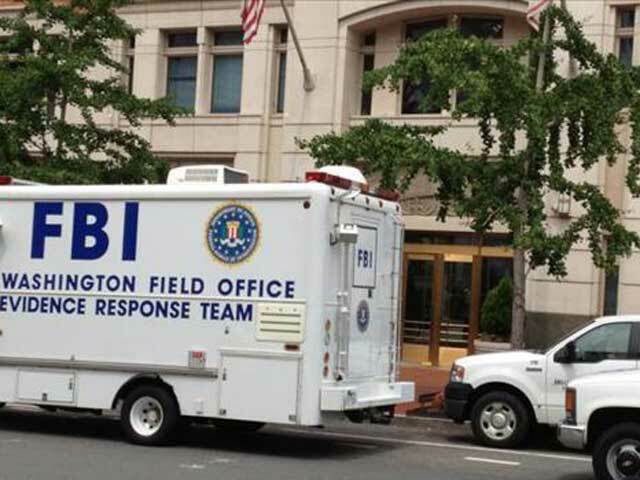 (CBS/AP) WASHINGTON - The man who allegedly shot a security guard at the Wash., D.C. headquarters of the Family Research Council, a conservative lobbying group, was indicted on multiple charges Wednesday. A grand jury indicted Floyd Lee Corkins II, 28, of Herndon, Va., on a federal charge of interstate transportation of a firearm and ammunition, and two District of Columbia offenses: assault with intent to kill while armed and possession of a handgun during a crime of violence. Charging documents show Corkins was carrying a handgun, a box of ammunition and 15 Chick-fil-A sandwiches when he opened fire on the security guard at the Family Research Council's headquarters on Aug. 15. The guard, who also served as the building's operations manager, helped to subdue Corkins after being wounded in the arm, authorities said. The Family Research Council (FRC) has defended Chick-fil-A since the fast-food chain's president, Dan Cathy, spoke publicly about his opposition to gay marriage. Corkins' parents told investigators that he was a supporter of gay rights, and he said he didn't agree with the FRC's politics before the shooting, according to the documents. It was not clear what he planned to do with the sandwiches. Federal authorities also confirmed Corkins was carrying a note with contact information of a second Christian conservative organization, the Traditional Values Coalition, said the group's president, Andrea Lafferty. She did not say whether her group was being targeted. The federal firearm charge and the assault charge were initially filed against Corkins last week, while the local handgun charge was new. A spokesman for the U.S. Attorney's Office declined to comment on the possibility of additional charges, including hate crime. The investigation is ongoing. Corkins is due in court Friday for a preliminary hearing. A judge also ordered a psychiatric evaluation to determine his mental competency, the results of which have not been disclosed. Corkins had volunteered at a community center for lesbian, gay, bisexual and transgender people but was not well-known in Washington's gay community. He attended a small, conservative Christian high school and later majored in philosophy at George Mason University, although he did not graduate.